Back on the Battlewagon: A Game! 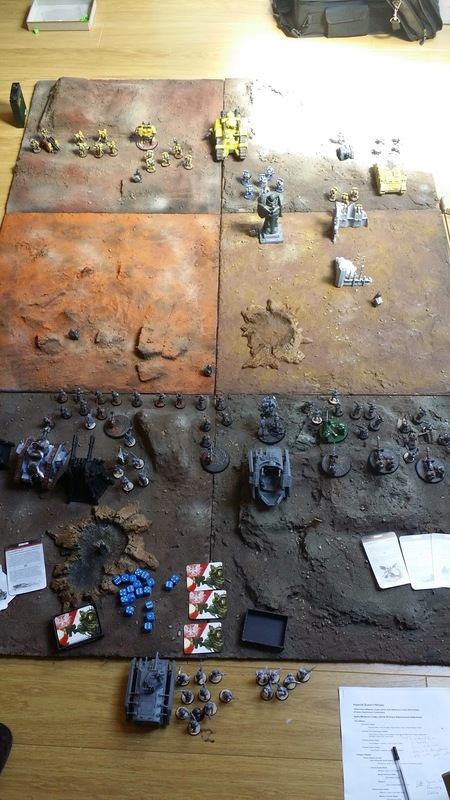 The other month I actually got a game of 7th edition in. The photos I took don't really warrant a battle report but here are a few thoughts..
Ste brought a mixture of Imperial Fists and Ultramarines with plenty of forgeworld bits thrown in. Man that guy can paint. Also take note of the awesome board! Ste's impressive handiwork once more. Got to say that those tiles weigh a surprising amount once a bunch of sand and paint is applied. 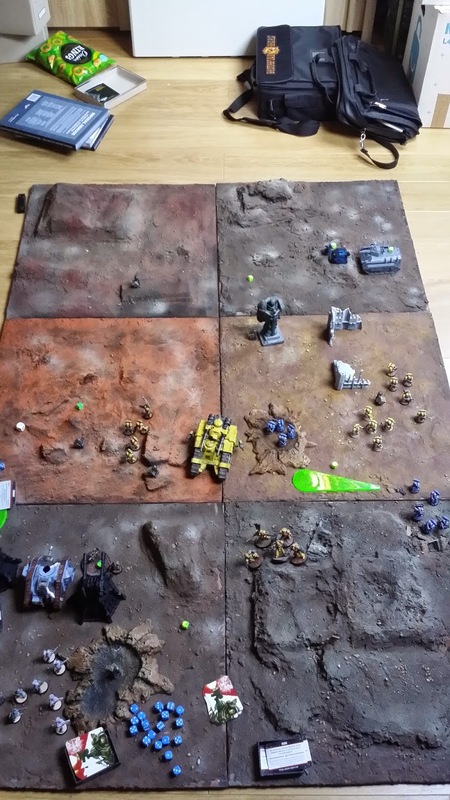 Also it was a proper game of floorhammer! last time I played like this would have been 20 years ago or something, and unfortunately my knees don't work that well any more. The heavy weapon squad was worn away before finally succumbing. I used some order or something to allow my vets to come in in his rear and do some damage. What really happened is I disembarked them and they got torn to shreds. All in all a great Sunday afternoon! Post game carnage. My few survivors hiding in the corner!